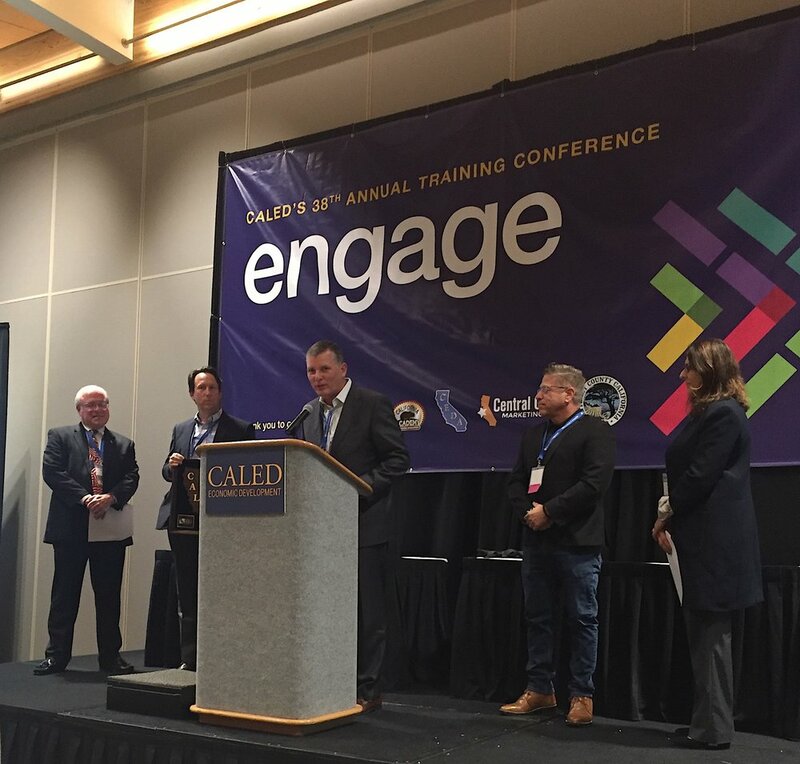 California Association for Local Economic Development (CalEd) | Monterey, CA. 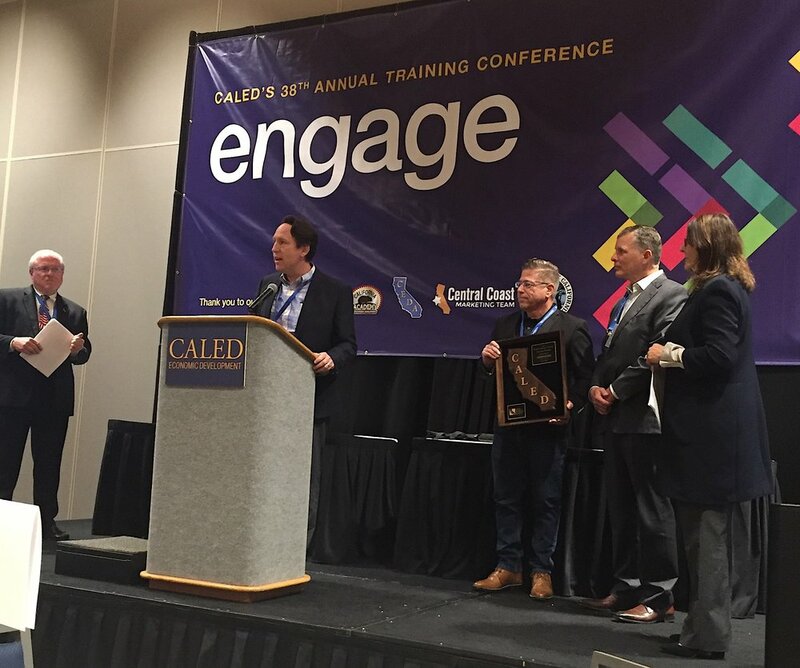 Small Business Development Corporation of Orange County (“SBDC-OC”) and its partners receiving Award of Excellence from CalEd in support of our expansion project financing of the B Street Theatre in Sacramento. 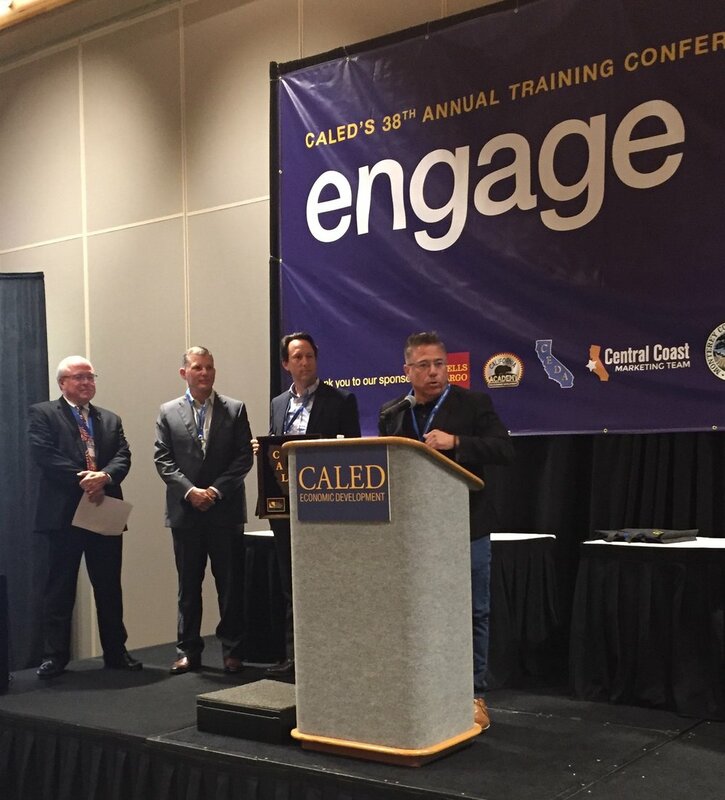 It is the highest award in CalEd’s category for Economic Development Partnerships at CalEd’s 38th Annual Training Conference. Receiving the award on behalf of SBDC-OC is Michael Ocasio, President/CEO, Richard Lee, VP., Pam Finn, Chief Operations Manager, Maria Lopez, Loan Administrator and Kirk Dowdell, lead project consultant and Bill Blake, project consultant and former managing director, B Street Theatre.